Budapest, July 25 (MTI) – Opposition parties criticised Prime Minister Viktor Orban over his remarks at the 26th annual Balvanyos Summer University in Baile Tusnad (Tusnadfurdo), in Szeklerland, central Romania, on Saturday. 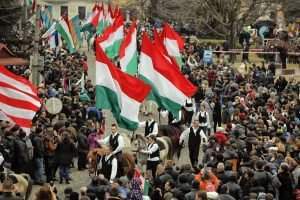 The radical nationalist Jobbik party said that the prime minister should initiate amending the EU’s founding treaty or Hungary’s treaty of accession. Jobbik said that if Orban “is truly worried for national self-determination in Europe”, he should reinstate the Border Guard and ensure that economic migrants arriving in Hungary can be turned back. Deputy group leader Daniel Karpat Z said the Orban government was “all talk and no action”. He said it was clear that the prime minister would not follow up on his Baile Tusnad speech, and instead will be just as “appeasing” as “the parties of the 20th century” when it comes to the issue of migration. The Egyutt party said the prime minister made “bewildering” remarks on the closing day of the event. Nora Hajdu, the party’s senior official, said in a statement that Orban “said some really horrible things alongside a lot of empty words”. Hajdu said the prime minister’s remark on left-wing politicians “not liking” Hungarians was “gruesome”. She said the prime minister “has once again proven” that cooperation with him is impossible, as he “does not consider those who disagree with him part of the nation”. “Orban is not a European intellectual, he does not represent European values and is heading east,” Hajdu said. 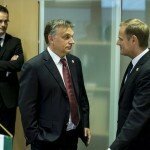 The Hungarian Liberal Party (MLP) accused Orban of having fomented xenophobia, looked for enemies and spread alarm – well-known endeavours for all who are familiar with Hungary’s inter-war history. 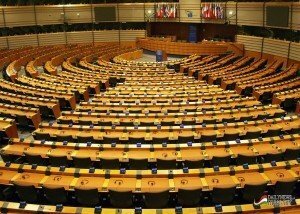 “This year the prime minister found his enemies in Brussels, the left wing and starving Africans,” the party said.